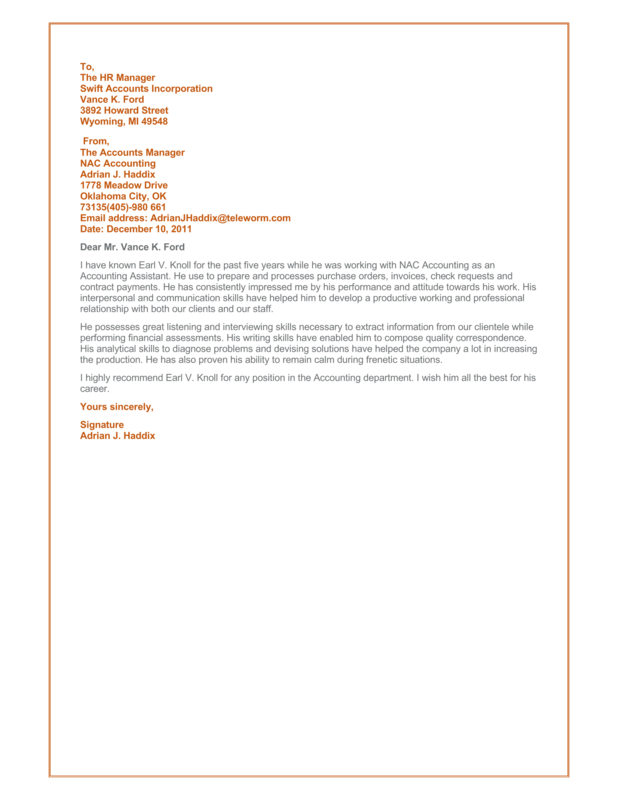 Accounting position is one the job that requires Reference letter, without it, you cannot be able to apply for an accountant job. 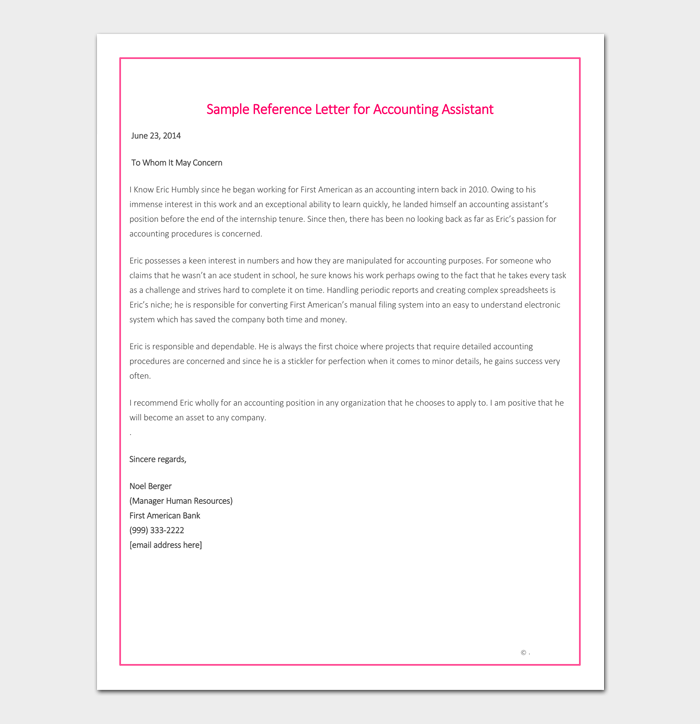 An accountant reference letter is a type of reference letter that contains applicant’s accounting knowledge, experience and his/her practices in a field of accountancy and finance. 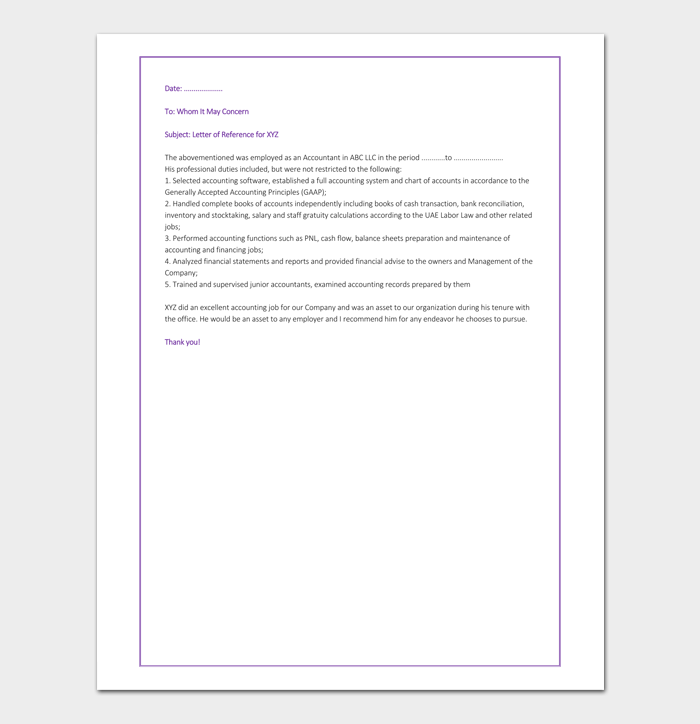 You can use a reference template as a guide, to make work easier, simpler and clearer. 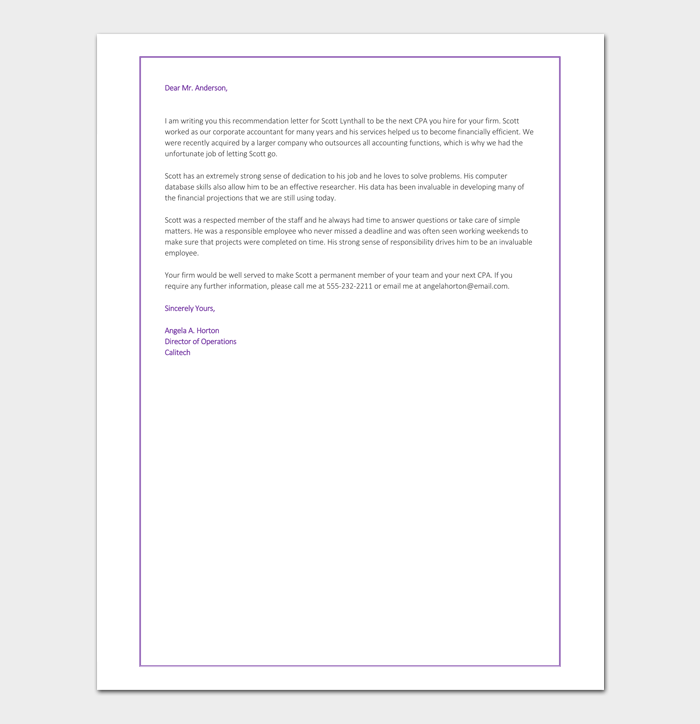 Employment recommendation letter is type reference letter written by manager, supervisor or an assistant manager for their employees who are ready to proceed in their careers. 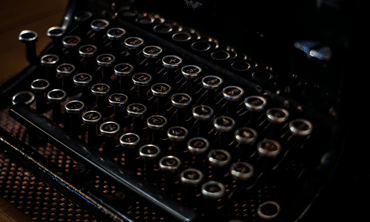 Also, is normally written when a valued member or former employee is changing his/her job. 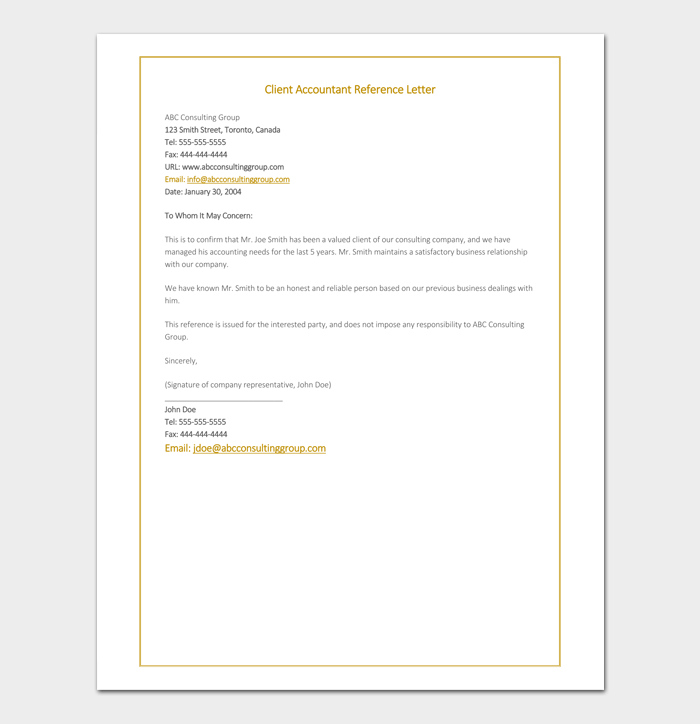 Some head members of a business support their colleagues by writing a glowing recommendation letter. 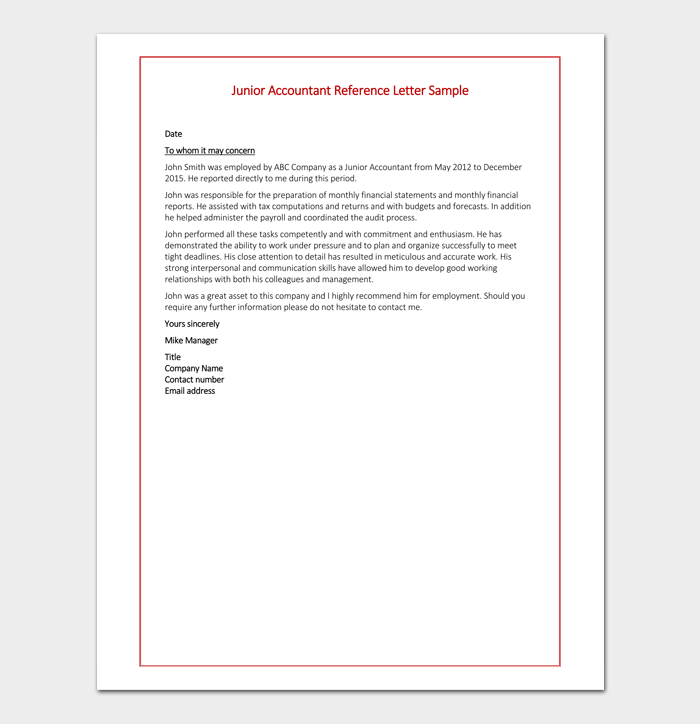 A junior reference letter is another type of reference letter that written to attract the student who is qualified for the accounting job positions. 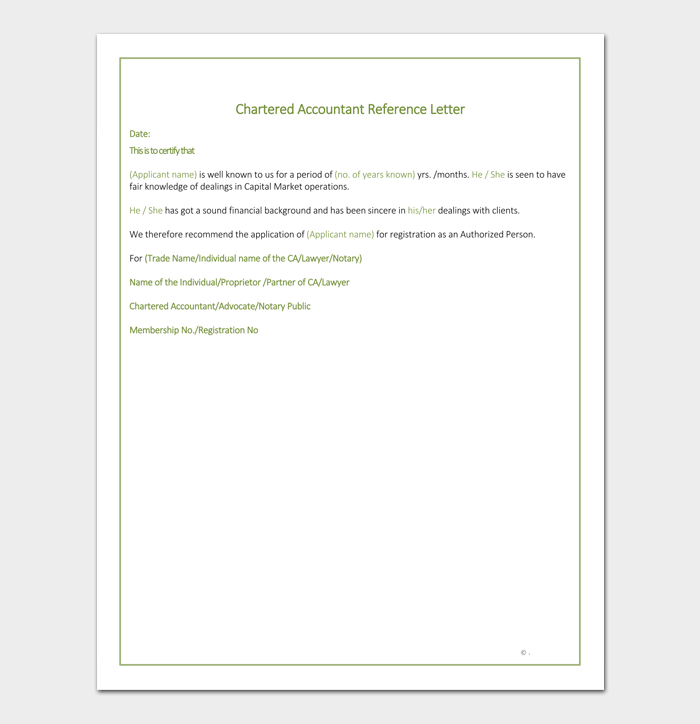 Junior Accountant responsibilities are to provide the financial information by reconciling and maintaining accounts as well as preparing reports. Additionally, the duties of a junior accountant are to maintain the financial record for the subsidiary businesses through analyzing general ledgers and balance sheet. 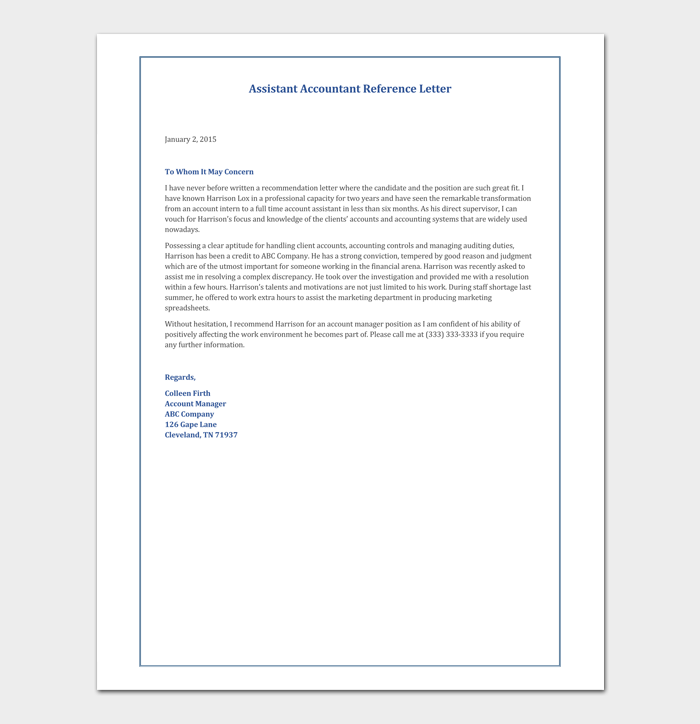 The recommendation letter for an accountant assistant is a type of reference letter presented by a positive candidate to an employer for applying for an accounting assistant position. 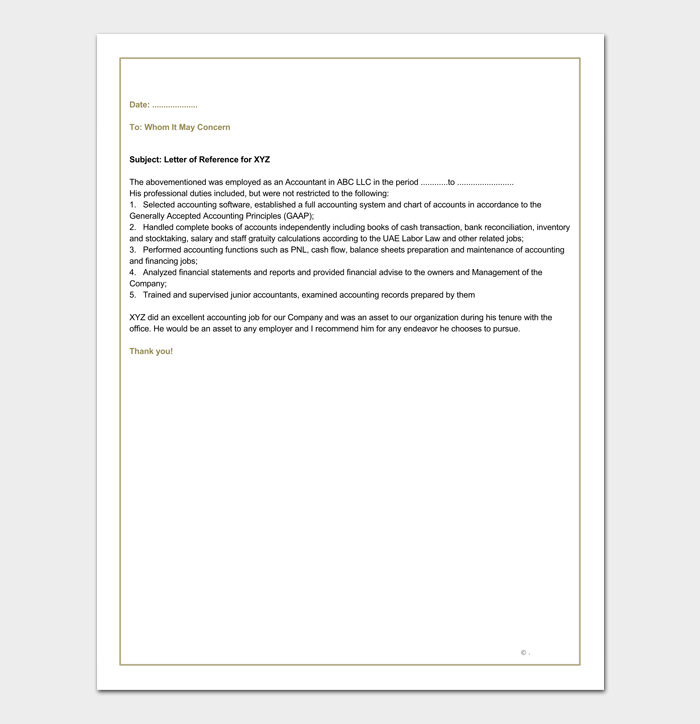 It provides the employer with some significant information about candidate’s previous work experience and skills. 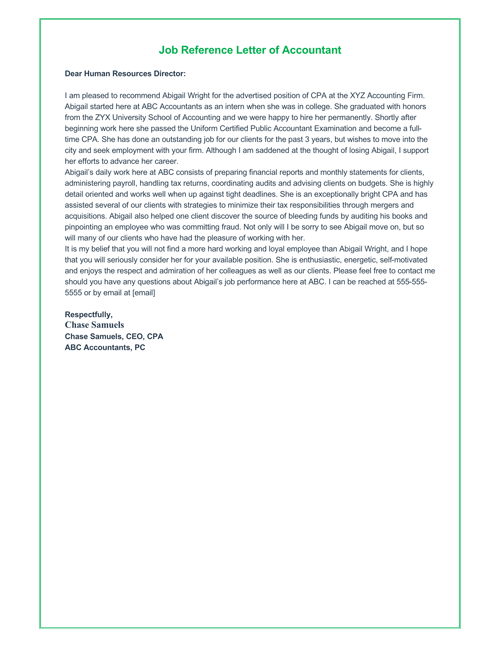 Thus, accountant reference letter includes the confirmation that an employee worked in the particular position under a certain company. 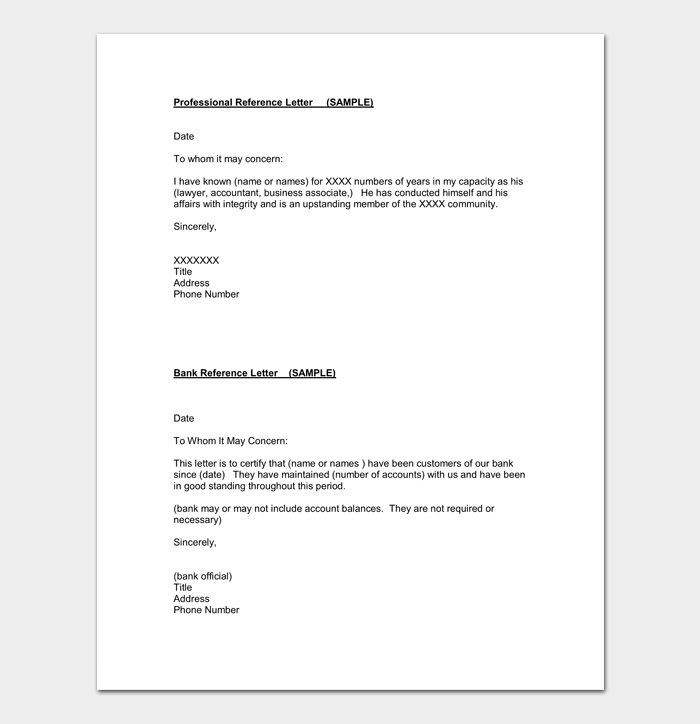 It is a good idea to read several samples before you start to write any reference letter. It can provide you with further assistance and also provide you with an additional information. 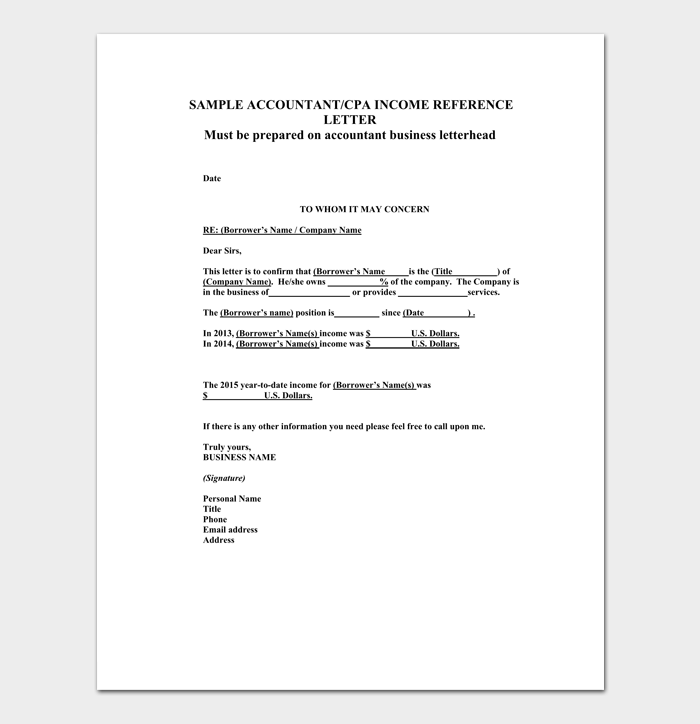 The sample will as well provide with a suggested outline for your letter which you can apply to create the best accounting-reference-letter.